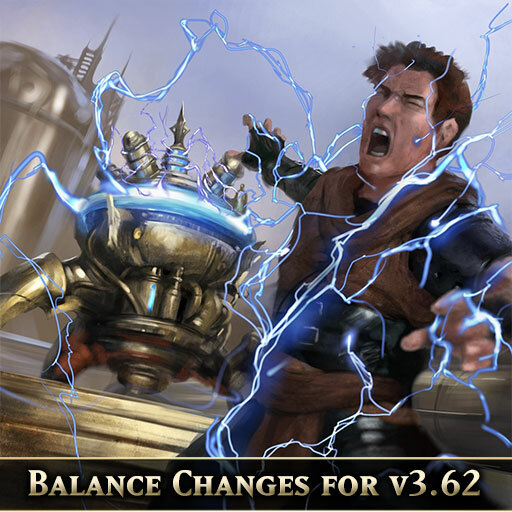 We're very pleased to announce balance changes coming in 3.62 that are intended to boost some less viable decks and hopefully encourage some new ones, without particularly hampering or hindering what's currently popular in 3.61 since we think it's in a pretty good state, with good variety across classes. We have therefore restricted ourselves to just one nerf to a Neutral card (Stun Turret ), which will not penalise any particular heroes explicitly like some Class-restricted nerfs we were considering would have. The other changes are two rejigs (Mettle of the Warrior and Armored Packbeast ), which are aimed at encouraging more proactive play and less passive/stall play, and eight strict buffs. Feel free to comment below with your thoughts! We expect to have 3.62 on your devices by 7th September! A rejig for the packbeast? Really? 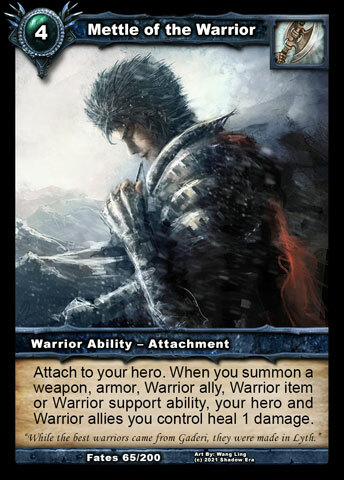 It never needed +1attack; it's a support ally and gaining attack was never a problem for homunculus decks. The nerf on healing is not on par with the +1 attack. Now you can't use more than one packbeast to get extra healing for your hero, and you only get it while it's adjacent to your hero. Major bummer. 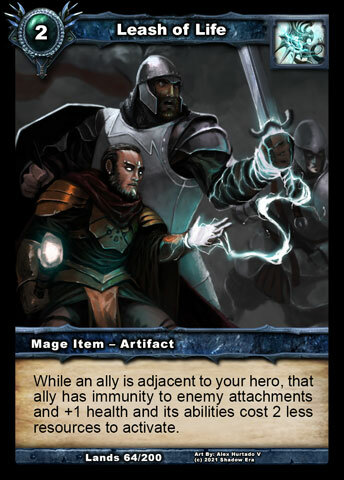 I don't mind the adjacency healing to allies if the aim is to get players to play more tactically, but the healing to your hero is vital to reach your endgame imo. 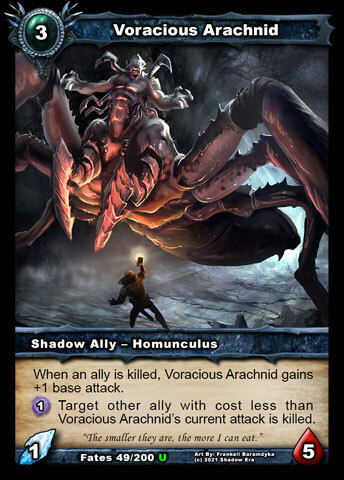 I like the voracious arachnid change off course, but I feel it could lead to cheesiness. Analysis of data from games, and even just watching some games, clearly showed that the huge heal possible with Packbeast (especially multiple) was really working against the goals of the game. It can't end until one player hits 0, yet this could sometimes negate multiple turns of offensive action while the user also did none of their own. I know some very slow control decks depend on this to reach their end game but I'm afraid I would prefer to risk sacrificing those from the meta - though I don't think this will be as damaging as that - than offer a way for people just interested in stalling and surviving until their opponent decks out to do that really effectively. I created Packbeast mainly to allow Mages some source of heal, which should not be in their class, but 1 heal per turn is plenty when they previous had 0, unless you count the Frying Pan (which I also created) and the rarely played Honored Dead for humans. All other classes have their own heal so should not be relying too heavy on the heal part. I know some very slow control decks depend on this to reach their end game but I'm afraid I would prefer to risk sacrificing those from the meta - though I don't think this will be as damaging as that - than offer a way for people just interested in stalling and surviving until their opponent decks out to do that really effectively. THIS is what aggravates me to no end when it comes to the subject of nerfs and buffs. There's no reason to attempt to stamp out a style of play or type of deck. Instead of "power creep" this is "meta creep." People that have been playing SE for a long time brag about how this is such a complex game, and it's deeper than most other card games out there. That won't be the case if "hate on control" trend continues. It'll just be Hearthstone, with a twist or two. Sure, stall is annoying as hell to play against. Most control type decks are. That doesn't mean they need to be confined to a small percentage of the meta or stamped out all together. When you pit homunculus decks against most other opponents they have a hard time surviving early game since most allies are not as strong until you get the buffs going. Add to that that the best allies are 3cc and thus vulnerable against a host of abilities even when buffed, the healing of the packbeast seems less of a perk than a necessity. The adjacency heal to allies is already a bummer, since now you have to have two packbeasts adjacent for them to heal at all. As I said, if the goal is to force players to play more tactically, fine. Annoying, but understandable perhaps. The real kick in the nuts however is the need for it to be adjacent to your hero. Which makes it only able to heal one more ally. The packbeast costs resources and packs no punch of its own, so it becoming less useful to such a degree makes it nigh worthless now. Btw, calling it a 'rejig' instead of a nerf is disingenuous imho. No offence. Just adding that you have max four packbeasts in your deck. You probably don't draw more than two in a game. If you manage to cast more than two it means you either already have enough offence to afford such luxury (and thus won already), or you lack enough offence and you get beaten despite the healing. I like a tactical game where people have to think. I've been playing less and less because of the constant nerfing of non-standard ally-heavy mid-game decks. And the rise of pre-thought-out combo's. If decks almost need a turn 2 ally to survive in the meta, then you've severely limited the variety in decks. Similar comments hold for solo heroes: too many hard counters (e.g., mass decay) have been added. The game is becoming less fun and interesting, in my view. Still fun, but less fun. I enjoy trying to come up with truly new decks. Even though cards were added, the game somehow feels more constrained rather than less in terms of feasible novel deck ideas. Case in point: new "broken" decks almost always seem to rely on recently added or changed cards, and rarely on newly discovered combinations of earlier cards (with some rare but cool exceptions). There is no hate on control from here. There is much hate on "stall", however. There is also great sadness and disappointment about players who choose to disconnect rather than concede when they are losing, to cause their opponent to wait for the game to time out for their win. There's no need for that, so we now have a "Hall of Shame" tracking the people who disconnect the most and will take appropriate action against those people if they continue like this once they are aware their behaviour is not welcomed. Please can you give examples. Thanks for explaining how you see it. It's a rejig because he got 1 attack as opposed to conditional 1 attack when damaged. Starting 0 attack is not as good so that is a buff on stats, to go with nerf on healing, to make rejig! How is that disingenuous? There is also much sadness and disappointment about lead designers who take time from their busy day to attempt to publicly shame players for behavior that is not violating the much lauded CoC. (Nice deflection, btw, since you didn't explain the need to severely limit heavy control decks, which is what a stall deck actually is). How about we switch this round and you help everyone here understand your definition of stall (heavy control) and why you enjoy it and why you think it is good for the game? That will mean I can go away and code new cards, etc. and you can help us all see your point of view. I really think that nerfing the ability of control decks just because some players are sore losers and disconnect makes for less interesting games. you're catering to the lowest denominator and eventually the game will lose depth, since quick wins and killer combos become the norm. 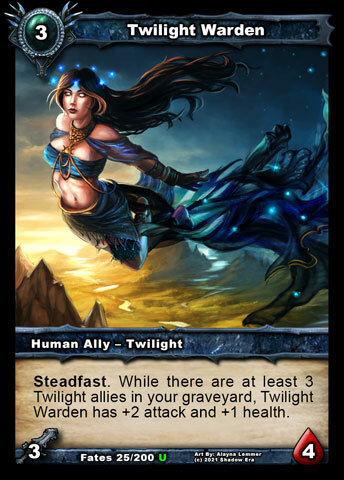 Eventually only the powercombos become viable and no one will create decks with more subtle strategies. My playstyle is indeed control, and in my favorite deck a card like the packbeast is essential to my strategy. Your main objection is that it can stall the game if multiple packbeasts are fielded, but my main objection to that argument is that in 40-50 card decks with max four cards of each, statistically this almost never happens. On average you won't draw even two in the first three rounds, end even if you can get 2-3 on the board in the first 4 rounds, you will have sacrificed your offensive capability severely since you used your resources for 0 attack allies. Any competent player can use a plethora of cards to instakill or neutralize them in the meantime. Or field high attack allies to just stomp them one by one. If i get four packbasts in my starting hand, I am actually quite annoyed, since my chances of winning are slim to none. 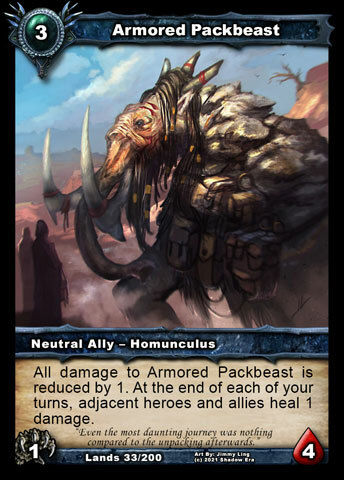 In my strategy, the packbeast serves the purpose of keeping my allies alive >just< that little bit longer for me to (hopefully) gain a small advantage in allies over my opponent. I use offensive cards like voracious arachnid and abomination to slowly gain the edge in attack. This forces my opponent to focus his resources on either killing my packbeasts or my offensive creatures first, giving me the oppurtunity to react and counter with ability/support cards and lowcost allies untill i outnumber them or my arachnids gain the upper hand. This strategy certainly has many counters since the creatures are prone to instakills/traps/frozen/incapacitated/you name it, so it certainly isn't an unbeatable deck. More importantly, it doesn't create situations where there are multiple turns of nothing happening while the opponent tries to damage me and I just heal it off as you stated. IMO, it creates games that are just a bit longer, but offer a challenge that most players would appreciate. Now if the rejig is implemented, the backbone of my deck is gone. My support is compromised and my offensive creatures become even more vulnerable than they already are. Making the heal dependant on adjacency hampers my ability to implement my strategy. Gaining the upper hand, which was already hard to begin with, becomes much harder still. 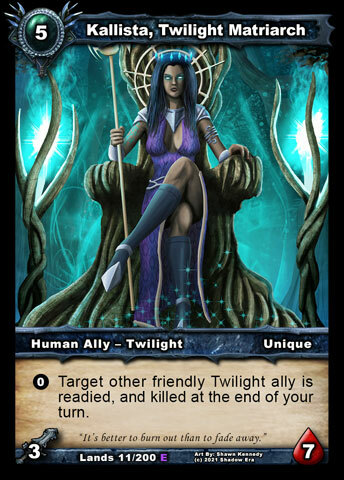 I now have to wait to get the right cards, or get my creatures aligned just right for them to be effective. This also shifts the control of tactics to my opponent, who now can pick off my creatures according to whom they are adjacent to, instead of him having to react to my strategy. 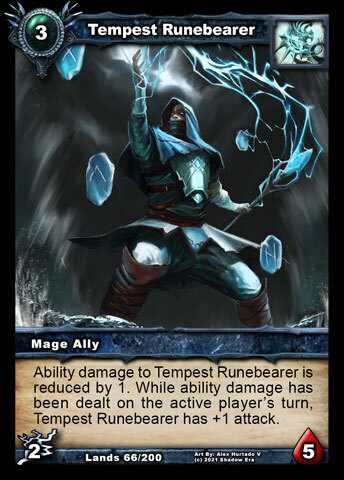 All in all, anyone who just makes a simple blasting/large creature deck has a significant advantage over a deck that IMO has been thought out well with an intelligent strategy behind it. Dumbing down the game in the process. And that's a shame. Moreover, the packbeast is demoted from a toptier card to a questionable choice instead. Those poor packbeast herds will stand idly by as no hero cares for them anymore. P.S. I know you call it a rejig and not a nerf because you added +1 attack instead of +1 when damaged, but even you must admit that is kind of useless as a buff compared to the huge nerf on healing it got. Nobody expects a packbeast to charge headlong into the fray to annihilate his enemies when he could just as well be the walking medkit he always dreamed to become when he was just a small little packpet. I really think that nerfing the ability of control decks just because some players are sore losers and disconnect makes for less interesting games.. The Hall of Shame isn't for people who encourage their opponent to disconnect, which I'm sure stall decks do tend to. No, it is for the people who do the most disconnecting to make their opponents wait to get the win at the end, rather than just hit Concede! OK, so I understand how your particular deck will be hurt by this change and you don't seem to value that 1-attack by default. I am sorry it got caught in the cross-fire when targeting a true threat to player happiness in those stall decks, I really am. It sounds like a nice, honest interactive deck. But maybe it was being propped up too well by a card that did too much healing and it now needs a rethink? 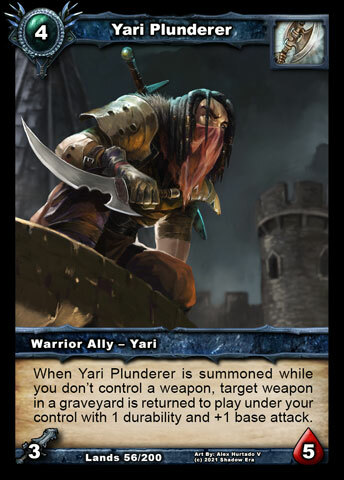 Maybe you will find a new variant that works better for you or have some situations that 1-attack pays off or just move onto running a different deck for a bit. At least what you will have is a reduced chance of facing people using Packbeast against you in their stall decks until you get them close to death and they disconnect and make you wait 2 mins for win! Thanks for replying. Don't worry, I am already experimenting with other decks. Also, I have in the mean time played a few games that make heavy use on packbeast dependency and to be honest I do see your point. 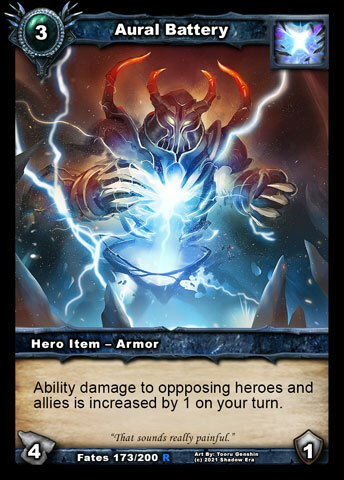 The sheer amount of healing on the board after multiple are fielded makes it very hard to counter unless mass destruction is used, making many fun strategies less viable. So my reservation against the rejig has changed to an appreciation of the revamping of a broken card. Thanks again for the honest discussion and keep up the good work. P.S. Any chance you might be able to persuade someone to add a few soundtracks during play? That same track over and over makes me cut the sound as soon as I start up. I played this game a long time ago but took a break for a while. So I am still getting reacquainted with some things. I find this packbeast thing to be very concerning. Packbeast is one of the most consistantly usable healing cards I have seen in the game. It seems very central to a certain style of deck and it's been around for a long time as best I can tell. So, I understand the attachment people have to it. I use it quite a bit myself. Balance is hard I get that, especially in a game like this, where cards dont cycle out every few months. But, for what it's worth, I think this is a wrong move. I have to assume that this wasn't an on the fly decision where one day someone on the team lost real bad to a packbeast deck and was like "I'm nerfing these things!!!" And everyone else just went along with it. 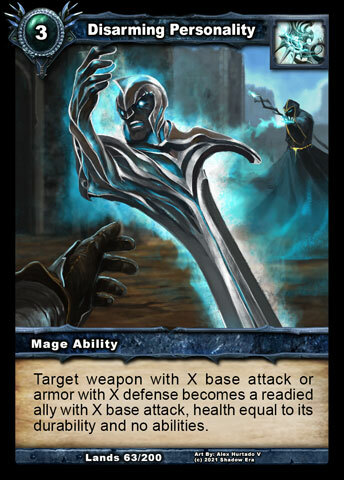 So, if it was important enough to you to "rejig" a card that by your own admission is important to a lot of decks... why not just make a couple of cards to counter it? 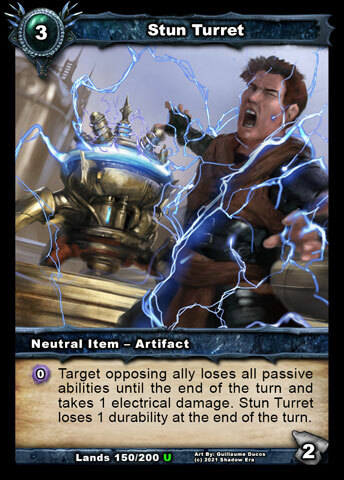 Something like (target ally loses passive abilities for as long as this card is in play). You can get super creative with it too. Like make an ally or a weapon that takes out passive abilities to targets they damage. Place it on an attachment or something. Play with durations or something. Honestly, anything else would have worked. And you would have been adding something to the game rather than taking something away. I'm sure it would have taken some time and work to balance an effective counter... but, you guys have a lot more meta data about how the game is played than I do, so it is doable. Also, I get why people are getting annoyed with the use of the phrase "a stall decks". What are you calling a stall deck; a deck that needs more than 10 turns to get a win? More than 5? I had a guy rage quit on me tonight after about 26 minutes against my trap heavy hunter deck does that mean I am playing a stall deck to you? Then, there is the adjacency thing. I am no expert, but I cant think of another card that bases it ability off of its position on the board. Can you even tell a card where to go? I always just hit "cast" and watch the animation play. To me this rule seems odd and out of place, like something out of a different game. Also, i get the frustration about not just calling it a nerf. I mean, packbeast is a healer. Its conditional +1 attack was always more of a way to punish creatures that attack it, at least how I have seen it played. It's like someone taking the tires off a car, but point out that they added a trailer hitch to the back. I mean, it's nice and all...but not really relevant to what I was using it for. Hi. Thanks for the detailed feedback and welcome back to the game. I hear you on all points but just happen to disagree. Rather than argue or even politely debate this, let's see how it plays out on 3.62 which has this change. In the mean time, I encourage you to continue to get reacquainted with Shadow Era. I appreciate how some things may look on the surface, but there is a whole lot that went into this change. The Packbeast has been on our Watch List for more than two years, but did not get changed because we didn't see definitive reason for doing so. Now we do see it (and indeed the poster above has come back to acknowledge our POV after more of his own research) and so the change is coming! How does the change to meetle of the warrior "encourage less stall play"?...maybe I'm reading it incorrectly, but it says its nerfed in one way and buffed in another while all see is a buff to heal on more options. I hope the next balance changes includes some type of change to sorceror of endia. For some reason, I keep coming back to this issue in my head. Honestly, I know that packbeast is a really strong card, I wouldn't say too strong or overpowered, but I am willing to admit that as just one player, I cant see the entirety of the game as it is being played by hundreds of people all over the web. But, I think why this sits so poorly is not that an adjustment is happening, but it is what that adjustment is. It seems like after this update, the packbeast is going to have an entirely different role in the game. It isnt even going to be the same card anymore...more like "Jake Packbeast" rather than "Armored Packbeast". Just off the top of my head, if asked to nerf this card. I would have just maybe increased its cost. Or, if I wanted to get creative with it, I would have changed it so that it only healed when it was at full health, that way you dont even need a special card to counter it, you just need to hurt it. Once its injured its conditional damage kicks in and it becomes an overpriced tank. 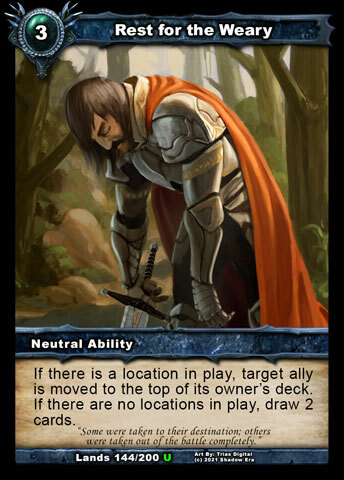 That way the card still gets to fill its role without resorting to any sort of adjacency rule. But you cant count on being able to hide behind them the whole game.